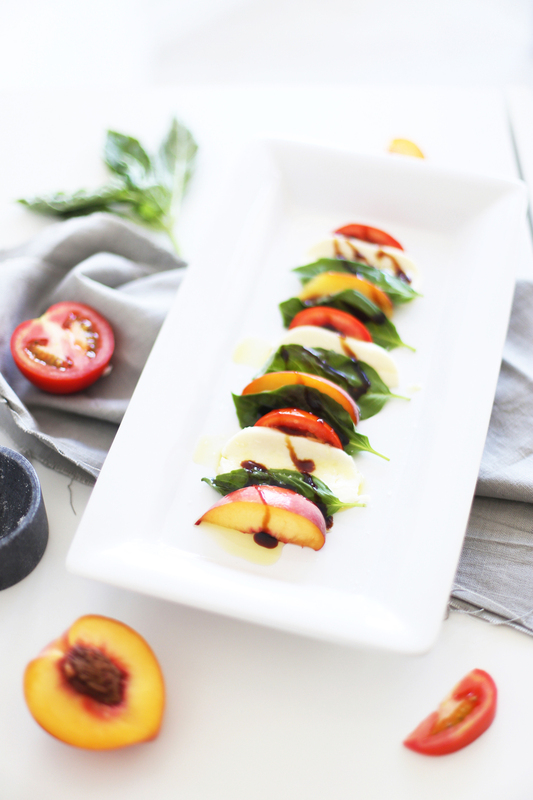 Aug 31 Peach Caprese Salad And A Trip To Italy GIVEAWAY! Since I married into an Italian family, it is totally necessary that I learn how to cook Italian food. I have always wondered how to make homemade mozzarella, so I thought this would be the perfect opportunity. It wasn't as hard as I thought! P.S. you might recognize this DIY monogram cutting board. I use it all of the time! For single servings, I think it's fun to dish the salad out onto these mini cutting boards/cheese boards. First, follow the instructions on the mozzarella cheesemaking kit. Next, slice the peaches and tomatoes into wedges. Slice the mozzarella into thin slices. 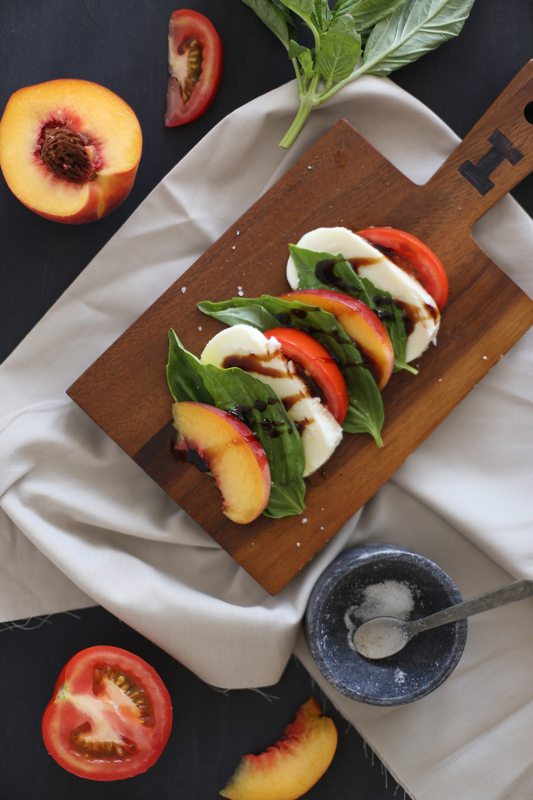 Arrange the salad onto a serving platter alternating between the tomatoes, mozzarella, basil, and peaches. 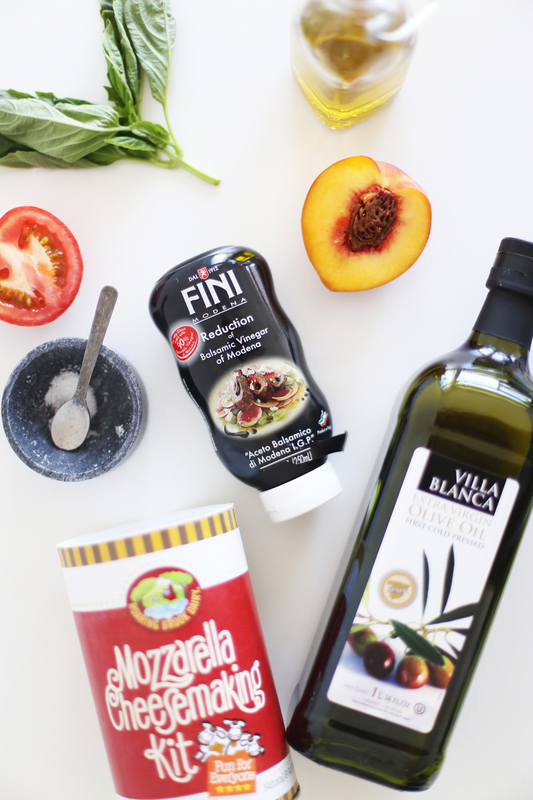 Drizzle with olive oil and balsamic glaze, and sprinkle with salt + pepper. Serve with slices of bread and a small bottle of olive oil. So, how about a global food adventure? This is my dream. I have always wanted to take a cooking class overseas. I'm so jealy because you have the opportunity to do just this with the giveaway below. Keep on a readin' for deets! 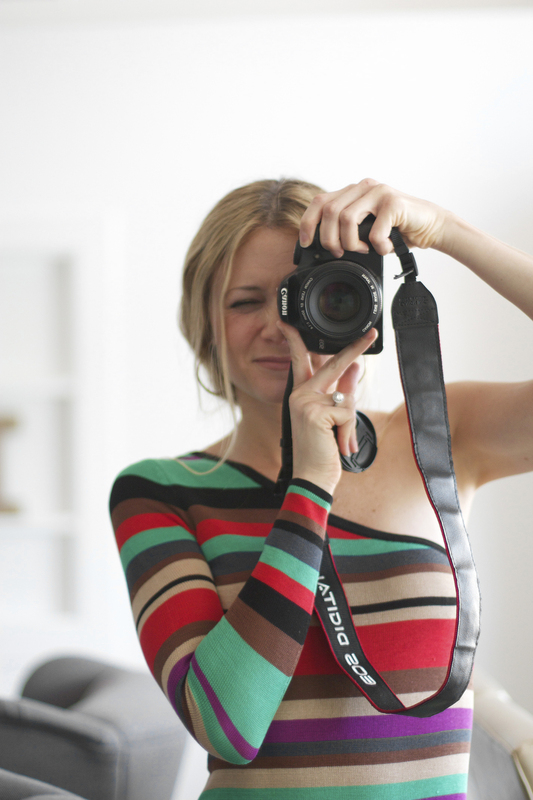 You can thank Cost Plus World Market, ABC’s The Chew, and Bella Italia for the giveaway. You are going to love it. Enter for a chance to win a trip for 2 to Italy! Plus, 3 First Prize winners! Celebrating and exploring life through food, "The Chew," is an innovative and groundbreaking daytime series co-hosted by a dynamic group of engaging, fun, relatable experts in food, lifestyle, and entertaining. Produced by Gordon Elliott's Chew Productions for the ABC Television Network, "The Chew" serves up everything food -- from cooking and home entertaining to food trends, restaurants, holidays and more -- all aimed at making life better, fuller and more fun. Featuring celebrity chefs Mario Batali, Michael Symon, and Carla Hall, entertaining expert Clinton Kelly and health and wellness enthusiast Daphne Oz, "The Chew" is a leap forward into a delicious new kind of lifestyle series. This is a sponsored post and was done in partnership with Cost Plus World Market. Kristi Murphy has received product, trade, and/or payment in exchange for promoting; however all opinions are her own. All other products selected for use in this project were selected by Kristi Murphy.